Chrysanthemum parthenium of Michigan Flora. A European species, often cultivated but tending to be persistently weedy. Roadsides, shores, pastures, yards, trails, dumps; often near present or former sites of human habitation. First collected in 1883 in Keweenaw Co. 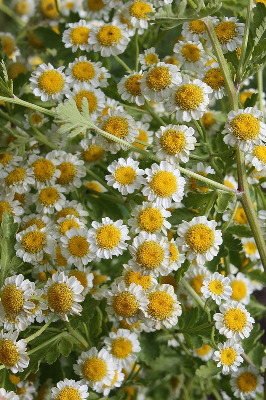 This is a bushy, leafy, aromatic plant, long reputed to have medicinal properties. It is also the source of an insecticide. MICHIGAN FLORA ONLINE. A. A. Reznicek, E. G. Voss, & B. S. Walters. February 2011. University of Michigan. Web. 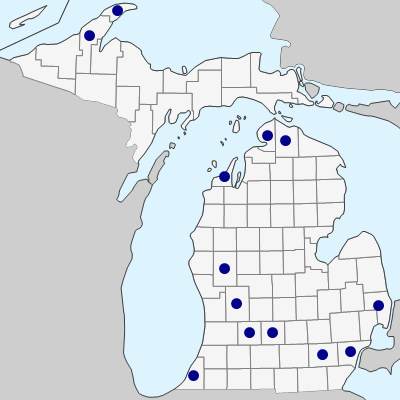 April 21, 2019. https://michiganflora.net/species.aspx?id=500.